Fructose is probably the sweetest natural sugar. On a scale of sweetness where sucrose (obtained from sugar cane) is 100, fructose is 173. Is it the fructose, or is it the sugar? High-fructose corn syrup (HFCS) has been the whipping boy of nutritionists and advocates for several years now. Many ills that afflict us and the planet were attributed to this gooey liquid. So let’s examine the evidence dispassionately, and maybe we can add some light to the heated controversy. Fructose is a sugar, a monosaccharide, just like the more familiar glucose. In fact, in most cases they are found together, either as a mixture or as the disaccharide sucrose (table sugar) that is made up of equal proportions of glucose and fructose. Fructose is found in fruits. 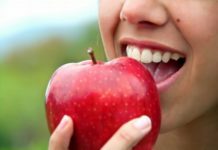 You eat an apple to keep the doctor away and you ingested a lot of fructose. You put berries in your cereal, and the sweetness is courtesy of fructose. You relish the sweetness of a carrot and you are enjoying fructose. So per se, is there anything wrong with this maligned sugar? In fact, biology doesn’t regard it as “bad”; all fruit-loving animals—from bees (honey’s sweetness comes from its fructose), fruit bats, hummingbirds, to monkeys, apes, and humans—love fruit because of its fructose content. Do you know the difference between a sweetly delicious pineapple and a sour one? It’s all in the fructose. The physiological benefit of fructose is not limited to its sweet flavor. We have a metabolic pathway, closely linked to the metabolism of glucose, dedicated to the extraction of energy from fructose. Fructose is probably the sweetest natural sugar. On a scale of sweetness where sucrose (obtained from sugar cane) is 100, fructose is 173. Glucose, for comparison, is 74.3 on the sweetness scale. So if you were a food scientist and you were looking for the most effective sweetener to add to baked goods, candy, syrup, or anything that needs to be sweetened, you would pick fructose. In fact, its great success is the reason for its downfall. Because fructose is so sweet, it became ubiquitous as an additive to anything imaginable. And that caused health problems. HFCS is made up of a mixture of 55% fructose and 45% glucose, not very different from table sugar, honey, fruits, and vegetables. It did not even exist until 1996. It is relatively cheap to make, it tastes sweeter and adds to food texture. Because of this, food manufacturers prefer high-fructose corn syrup to other sweeteners. All popular non-diet soft drinks are sweetened with high-fructose corn syrup. A non-diet 12-ounce soft drink typically contains 9 or 10 teaspoons of sugar, which is close to the daily limit set for sugar consumption by many health organizations. Please note: That pertains to any sugar, not just HFCS; they are all equivalent calorie-wise. I have seen some people drink a 2-liter (67-ounce) bottle of soda a day or even more; now multiply that by 365 days in a year, and by however many number of years these individuals have been drinking soda, and you are getting the mathematics of the obesity epidemic. Frank Hu and colleagues reported in Circulation: Journal of the American Heart Association that men consuming sugary sodas, as opposed to artificially-sweetened drinks, have a significantly elevated risk of having a heart attack. They looked at data from the Health Professionals Follow-Up study, a prospective cohort study of mostly white men who were ages 40 to 75 at baseline in 1986. The analysis included 42,883 participants after excluding those with type 2 diabetes, cardiovascular disease, or cancer at baseline. The men reported their consumption of sugar-sweetened and artificially sweetened beverages at baseline and every four years using a food frequency questionnaire. At baseline, the average intake was 2.5 sugar-sweetened beverages and 3.4 artificially sweetened beverages each week. During more than 22 years of follow-up, there were 3,683 incident coronary heart disease cases, defined as fatal or nonfatal MIs. Now here is an eye-popping statistic: When treated as a continuous variable, each additional serving per day of sugar-sweetened beverages was associated with a 19% greater relative risk of coronary heart disease (P<0.01). That is consistent with a previous analysis of women participating in the Nurses’ Health Study, which showed that each serving increase was associated with a 15% greater risk. Pretty damning. But not necessarily of HFCS. Obesity and diabetes are on the rise not only here but in Asia, Australia and Mexico. And they don’t use HFCS as a sweetener. The culprit is the caloric intake, from whatever source. So can we let fructose off scot-free? Nutrition researcher and principal investigator Peter J. Havel, Ph.D, University of California at Davis, looked at the difference between dietary glucose and dietary fructose (The Journal of Clinical Investigation, May 1, 2009). Overweight study participants showed more evidence of insulin resistance and other risk factors for heart disease and diabetes when 25% of their calories came from fructose-sweetened beverages compared to glucose-sweetened beverages. Both the groups gained weight during the trial, but imaging studies revealed that most of the added fat in the fructose group occurred in the belly, while most of the fat gained by the glucose group was subcutaneous. Belly fat, but not subcutaneous fat, has been linked to an increased risk for heart disease and diabetes. The fructose group had higher total cholesterol and LDL (“bad” cholesterol), plus greater insulin resistance, consistent with metabolic syndrome, while the glucose group did not. So does this clinch the case against fructose and in favor of glucose? As Havel acknowledged to WebMD, the study does little to answer the questions of whether the body processes HFCs differently from table sugar or other sweeteners. In a recent Proceedings of the National Academy of Sciences study, George Kyriazis, a biomedical researcher at Valencia College, Sanford-Burnham Medical Research Institute, and his colleagues discovered a unique pathway that could (emphasis on “could”) one day offer a reason to blame fructose for bad metabolic effects, over and above glucose. They discovered that on the beta cells in the pancreas there are sweet taste receptors. Mind you, these are the cells that secrete insulin. So what are sweet taste receptors doing outside the mouth? They demonstrated that fructose activates those sweet taste receptors on beta cells and synergizes with glucose to amplify insulin release in human and mouse islets. Could it be that the exaggerated insulin release in response to sugary drinks contributes to the metabolic syndrome that is a precursor for type 2 diabetes? Maybe. But this study has not “closed the deal”. Sugary drinks are unquestionably important culprits in the obesity epidemic. Fructose is the sugar used in these drinks. But that doesn’t mean that substituting it with glucose is going to solve the problem. So, in terms of public policy, painting fructose as public enemy number one is missing the target. The real problem is caloric intake, from any source. A very interesting read; I thought it would take a different spin based on the title. There is a misconception that for a food or ingredient to be part of healthy diet you should be able to eat it excessively. That is the downfall of many studies linking fructose to obesity is that they are commonly looking at fructose in excess or are note replicating real world consumption. As a representative of the Calorie Control Council and registered dietitian, I feel that we need to look at the imbalance of overall calorie intake and activity to start making strides in overcoming obesity. I agree. Most nutrition studies/articles etc. focus on one ingredient, particularly a vitamin or a mineral, often taken as a supplement instead of as part of food. You are right there is no one miracle food or evil food (except things that are poisonous or tainted, of course. It is all about what the total picture looks like. That being said, since fructose is so pervasive in processed foods, unless you avoid that type of food altogether (which I try to do), it is hard to not get fructose in excess.